Paul had been the custodian here at the PUUC for 10 years, and resides in the apartment in the Carll House. 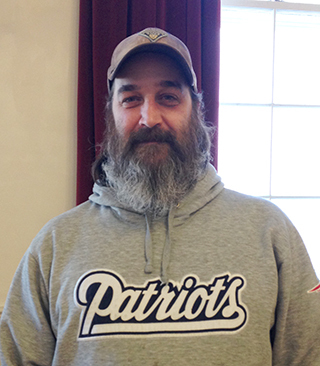 He's originally from Nashua, and has also been employed for his custodial expertise at ConVal for 14 years. You may not see him around much since most of his work is done after everything else is finished in the church. But if you're at the church at odd hours and see a tall bearded man around and you wonder what he's doing there, it's Paul. And he may have good reason to ask what you're doing there!